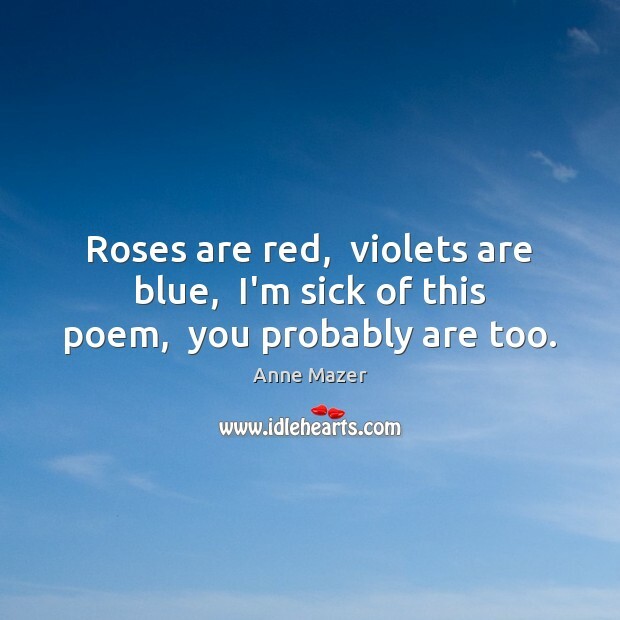 Enjoy the best inspirational, motivational, positive, funny and famous quotes by Anne Mazer. Use words and picture quotations to push forward and inspire you keep going in life! Roses are red, violets are blue, I'm sick of this poem, you probably are too.